Ever get the feeling your Android phone or tablet is running much slower than it should do? Install Power Clean and you can make your device run quicker in a flash. 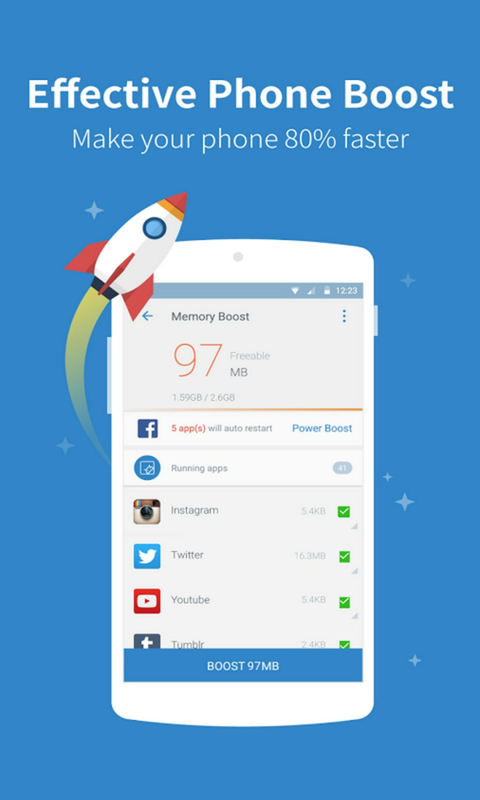 Power Clean is an Android optimizer and memory cleaning utility that makes it easy to rid your phone or tablet of unneeded files, freeing up previous space and boosting device RAM to make things run more smoothly. 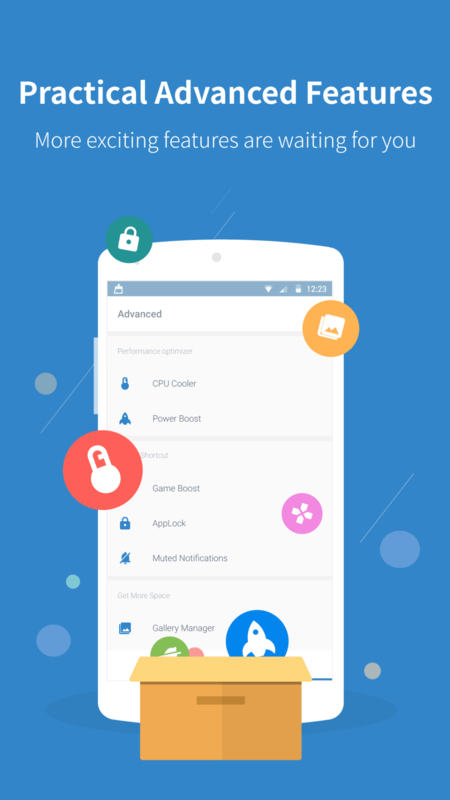 Power Clean looks and behaves very much like the industry leading Android optimizer, Clean Master. The interface is heavily inspired by Clean Master, and much of its functionality is the same. The difference is that Power Clean is much lighter. The app's footprint is under 2MB and scans are fast, making it a lean tool for giving your device a quick shot in the arm. So what does Power Clean do? 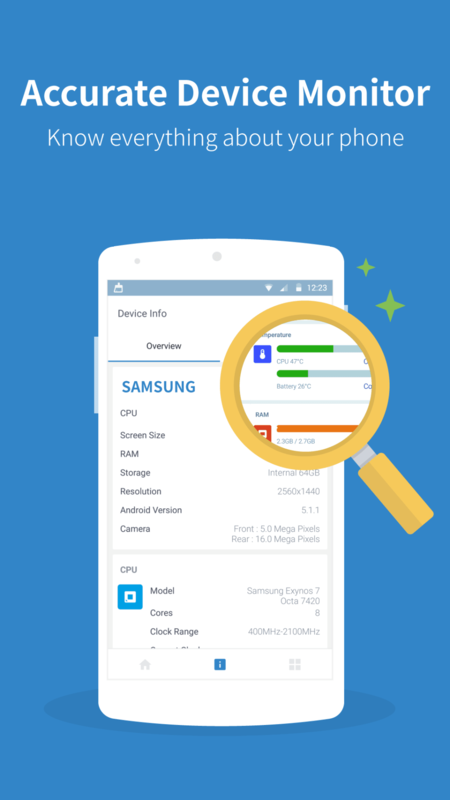 Its main features include a junk cleaner, memory booster, app manager, and a device info utility. 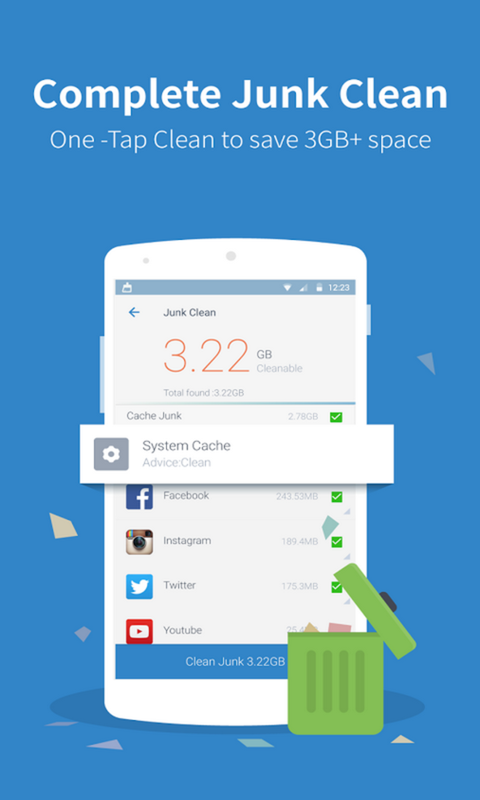 The junk cleaner looks at all your cached application files, obsolete APKS, and residual junk files, highlighting which files can be cleaned without having a damaging effect on the use of your device. There's also a handy privacy scanner, which highlights private data stored on your device and gives you the option to clean it. The memory boost option within Power Clean provides a very quick and easy way to free up RAM. With a single tap you can view running apps and the RAM they are consuming. Then, a tap on the ‘Boost’ button will free up this memory, improving performance as a result. Within the memory boost section there’s an autostarts manager, where you can prevent certain apps from auto-starting. This is a handy tool for ensuring that your device always loads up smoothly. 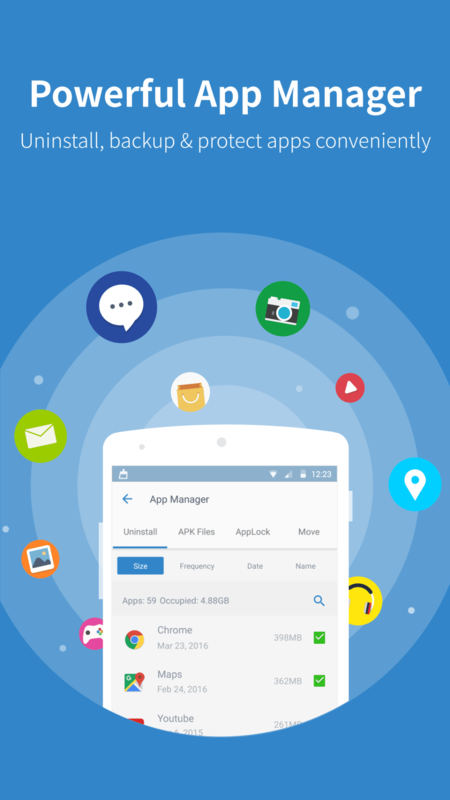 Power Clean has a simple app manager that lists all of your installed Android apps. You can perform batch uninstallations of apps just by checking which apps you don’t need any more then hitting the Uninstall button. Apps can be filtered by frequency so you can see which ones you use the least. You can list and disable pre-installed apps too, to reduce memory consumption even further. The device info section of Power Clean displays information and diagnostics about your phone or tablet clearly in one place. Much of the info is available anyway through your Android settings menu, but Power Clean presents things much clearer. As well as general information about your device’s specs, you can check on battery energy levels, battery cooler status, and which hardware features you have installed. You can set up notifications in Power Clean to alert you when memory is being overused or when your Android device starts overheating. The Power Clean interface is attractive and easy to use, with large buttons for each of the main options of the program, and big, bold progress bars that make scanning and optimizing very satisfying. There’s not much to fault with the Power Clean app itself, although it could go further in terms of its features. Unlike optimization rivals such as AMC Security, there’s no antivirus, anti-theft or backup tools within Power Clean. It would also benefit from a widget that would allow you to perform scans and optimizations without opening the app (something that Clean Master has). best boost App. the best boost App ! I used it. Keeps my phone running smooth and fast. Love this app. I like this clean tool, great app, great power clean. Great Android clean-tool, make my device fast and smooth. Wonderful feature, such as Junk clean, Memory boost, Privacy manager, especially App manager of which I'm in dire need. Better for Benchmark is joined. Looking forward to the next version. POWER CLEAN is awesome! Ever since I got it my device is so fast. A friend recommended this app to me so I could clean my phone's junk. I tried it out and the first cleanup removed 2 GB of junk files! The Boost Memory Boost is powerful!. Facebook was lagging my phone up to 60% but this app fixed it in a few secs. Great app. Pros: JUNK FILES CLEAN. What do you think about Power Clean? Do you recommend it? Why?